The most comprehensive and efficient ONE DAY training course in the business. Learn what you need to protect yourself and others. 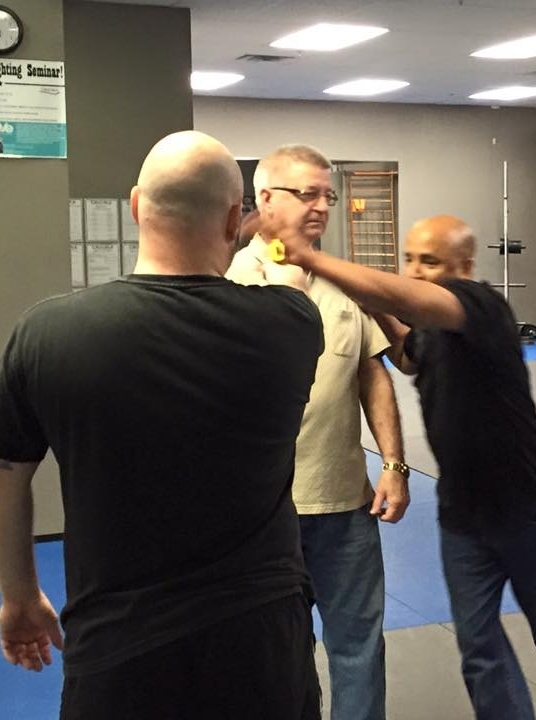 The foundation of DEEP Training Course is learning the principals of self-defense. Until we can defend ourselves it is difficult to render aid to others effectively. We will cover the essential components of self-defense needed for the vast majority of conflicts. If you fail to defend yourself, you may instead find yourself needing to escape from capture. This could as simple as escaping from a wrist grab, or as difficult as removing handcuffs or zip ties. We focus on the most common types of bindings and grabs/holds. Have you ever been followed, stalked or felt uneasy around someone? What if you got a call that said you couldn't go home...ever. Sometimes we need to make ourselves sparse for a few hours. Sometimes for a few days. Learn the techniques to stay unseen and under the radar. Protecting others is sometimes what really matters to us. Protecting our friends, family and other loved ones is of primary concern to most of us. Once we know the fundamentals of self-defense, we are able to apply it to third party and bystander situations. The D.E.E.P. Training Course is a comprehensive self-defense and third party protection course taught in 1 day or over 2 days. It was designed to provide the maximum amount of practical knowledge we could integrated and students retain, in the shortest amount of time possible. We have taken the most effective content from various systems and courses, and combined them to create this one course experience. I say it is an experience because throughout the course you will be learning and DOING life saving and injury prevention techniques. If you are an individual, a parent, a teacher, in law enforcement, an executive who travels, a hospital worker, a first responder or just someone who wants to learn how to be a safer and more useful person - this course is for YOU! How was the DEEP Training Course Developed? Key aspects of each system have been integrated to provide only the most practical and necessary for 80% of all situations. Protecting others - third party protection and bystander intervention. When, where and how to perform. Many parts of this course can be modified or sections added as needed. For example, in courses for healthcare employees our self-defense section can be modified to reduce the use of force. Likewise, for those in security jobs the use of force can be increased. Q: When are DEEP Training Courses offered? A: This course is usually offered to private groups. If you would like to inquire about having DEEP offered at your business, please send us a request below. Q: If I need to add or subtract modules to DEEP, can the course be customized? A: Yes! We frequently modify the course for various groups, especially women's groups, businesses, and hospitals. Q: How much does the DEEP course cost? A: The answer is it varies. Sometimes this course is only a few hours long, sometimes it can be spread across days. Travel costs must also be accounted for. Just send us an email about your needs and we can work out the pricing very quickly.